To answer the question, we have to travel back in time. At the beginning of the 20th century, the Bulgarian town of Lom was rising economically, and the interest in and development of the local cultural activities was dynamic. The first theatrical performance (1856) was held a long time ago and the town of Lom follows the traditions settled by the theatrical leader Krustyo Pisurka. 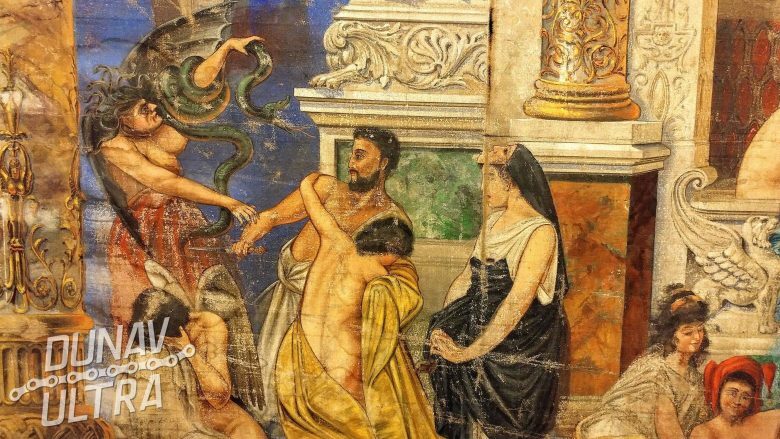 In this respect, the local government deliberately encouraged the development of culture in the city, striving to promote the theatrical activity in which Lom is among the leading centers in the country. After the contests, it was decided to assign to Adolf Kvapp the task to present a complete solution for the production of theater equipment, which will be used for years to come. At that time, the decorator has already proved to be an international name in this sphere. In order to make the whole decor, the master have been rewarded with the payment of 8000 leva, or more than 8% of the value of the building of the chitalishte, which costs 97,703 leva. On the basis of the deal, Kvapp creates for the Lom Theater a lot of stage decorations in the form of architectural elements, landscapes, city square, mountains, forests and others. The artist’s work was great it creates a real visual illusion, perspective and depth. He creates also various mechanisms and devices that mimic different natural noises for greater realism in performances – thunder, rain, wind, etc. The curtain presented in the photos in this material was first risen to the premiere of the play “Ivanko, Asen’s Assassin” by Vassil Drumev. 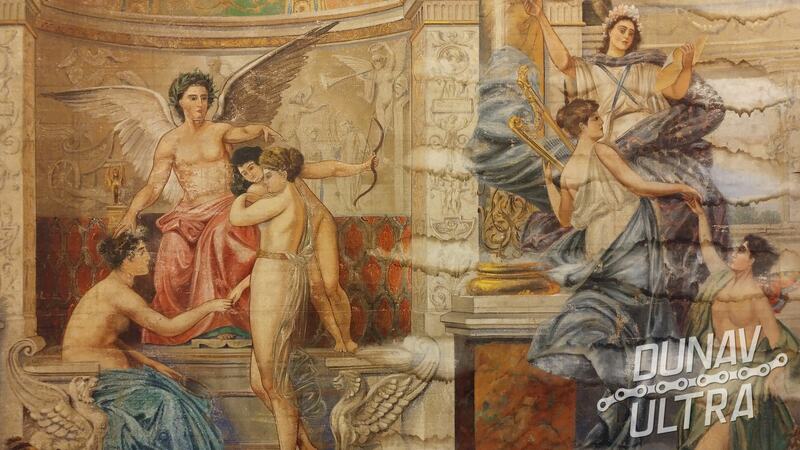 The four arts are portrayed with allegorical figures on the curtain: music, drama, tragedy and comedy. 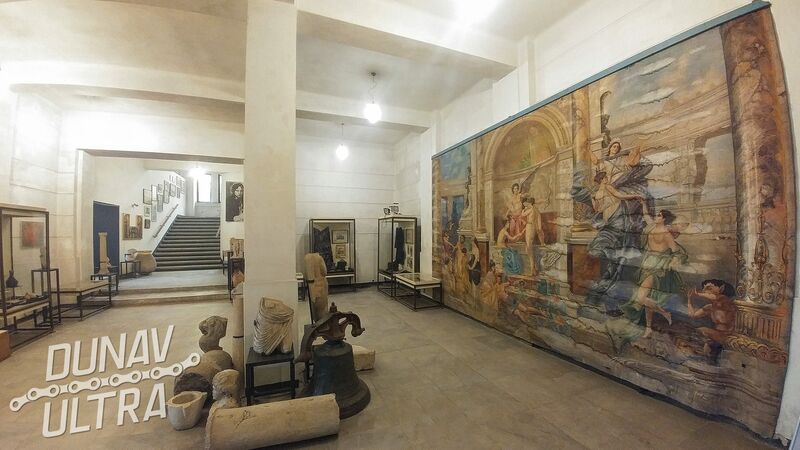 Today, nearly 110 years after its first use, the spirit of that historic day can be felt at the museum in Lom, where the canvas is presented. 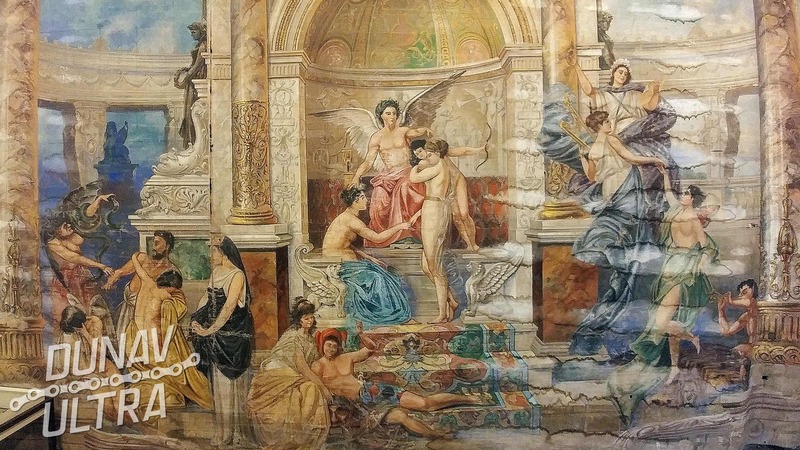 Years ago, the curtain was found in a rolled-up form that resulted in some damages on it, but it is expected to be restored soon and preserved for many years. 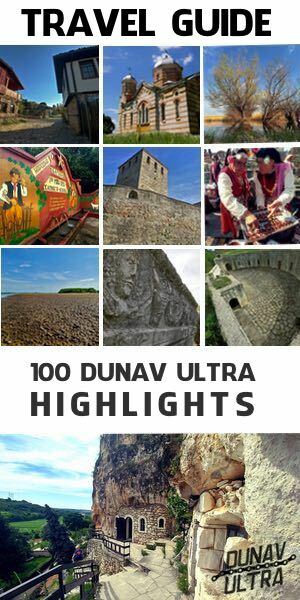 The canvas is offered to enter our “100 Dunav Ultra Highlights” Travel Guide.